Nigeria has recorded a second victory at the on-going world Cricket League Division five taking place in Kuala Lumpur, Malaysia. The team led by Coach Olisa Egwuatu beat Cayman Island by 7 wickets with 56 balls remaining as Endurance Ofem impressed with 90 runs. Team Nigeria that is seeking promotion to division four posted 205 runs in 40.4 overs while Cayman Island managed 204 runs in 50 overs all out. 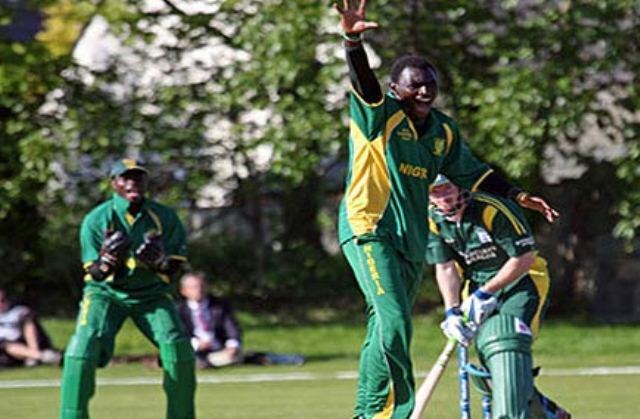 This was the second game the West African country was winning at the world cricket league after beating Guernsey by two wickets and losing the first match against Jersey. The game against Guernsey was a nerve wrecking one as team Nigeria had to wait till the last over to produce a win. Again, Endurance Ofem emerged Man of the Match as he recorded 3 wickets to assist his team to limit their opponent’s runs to 192 runs. A stiffer test awaits Coach Egwuatu’s team as they take on Tanzania on Monaday by 2:30am Nigerian time.